A one-time price of $625.00 will be added to your order. 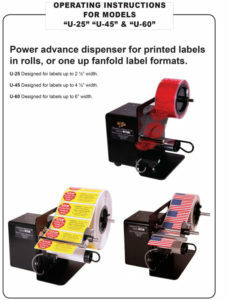 Dispensa-Matic U-45 Label Dispenser: Is a simple heavy-duty semi-automatic electric label dispenser that is designed for labels from 3/8 of an inch to 4 and 1/2 inch widths to any length tall. 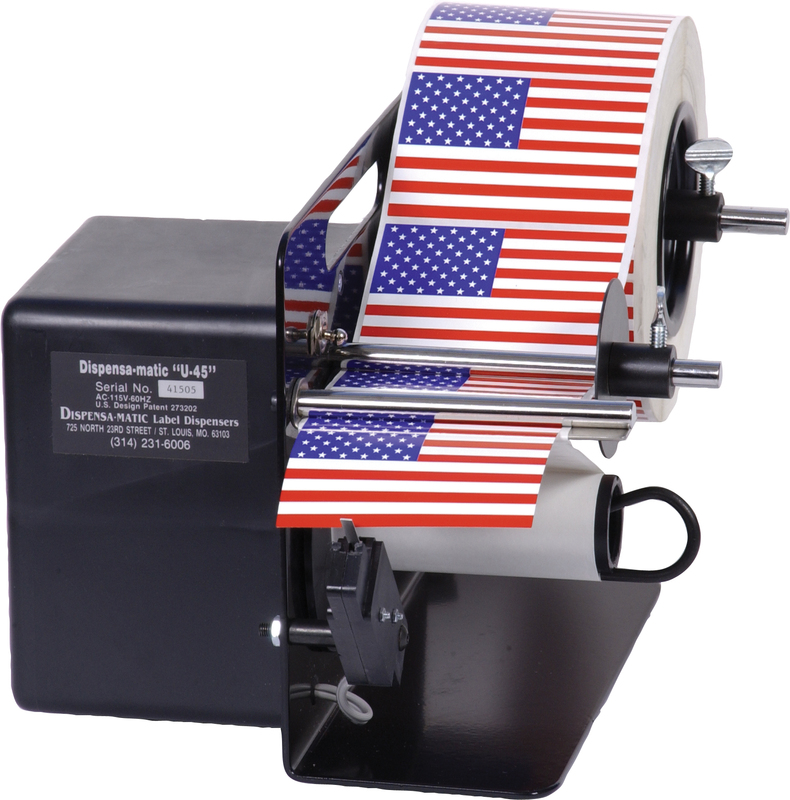 This label dispenser advances at over 5″ per second Standard Speed, and 11″ per second High Speed. U-45 allows you to peel small labels with ease. Side frames: made using the highest quality metals then formed, countersunk, de-burred, and inspected one at a time at our facility. Dispensa-Matic U-45 is an original design: from Dispensa-Matic! American made precision, quality, support, and longevity with over 35 years of experience from the same owner/designer!